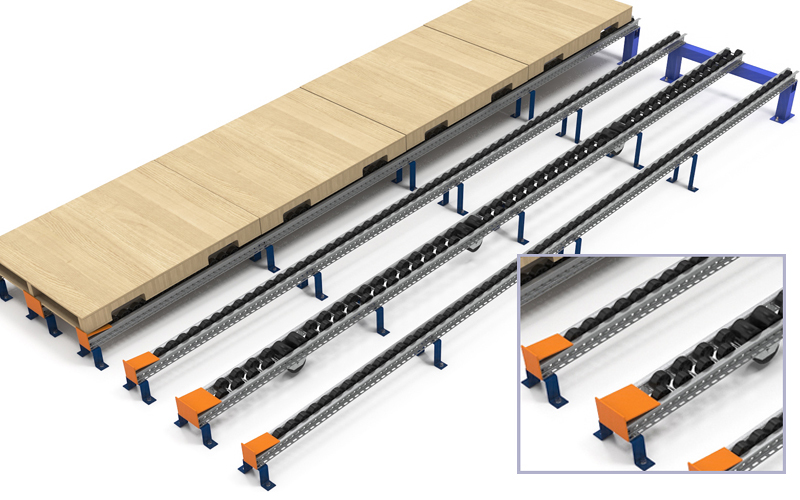 When you think of pallet flow, you might picture a dense storage structure, multiple levels high and several pallets deep – pallet loads queued and ready to flow to the front pallet position for picking. You’re right, most pallet flow systems fit this mold. But, there are many other unique, yet widely used flow systems that take a different form – custom floor mounted pallet flow or push lanes. You’ll see these lanes at work both in and out of the distribution arena; from manufacturing to receiving, assembly and shipping. Flow lanes can be lag-bolted to the floor or elevated slightly using custom hat stands – unlike many other standard systems, Mallard mounting stands are manufactured to your custom height specifications. 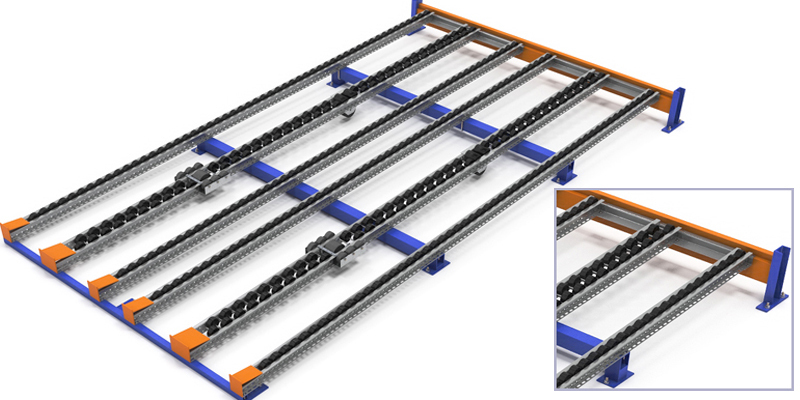 Lanes can be level for pallet push applications or mounted on an incline for pallet flow. So, why use a level push-assisted system when gravity can do the work for you? 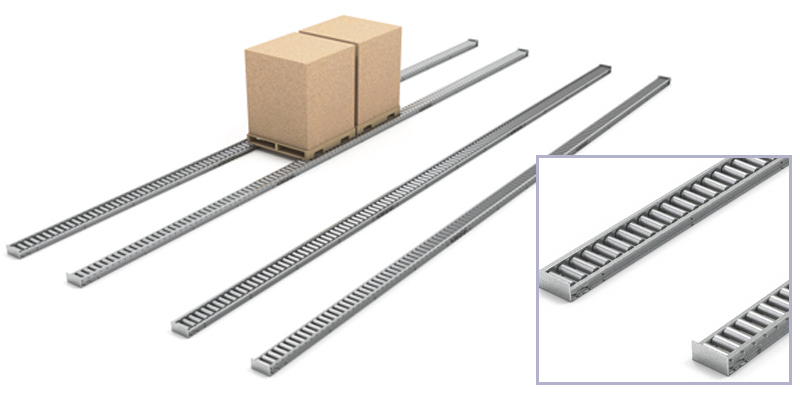 It’s all about flexibility – the level roller or wheeled pallet flow lanes add user flexibility for varying application requirements. For example, without a slope, you can change the direction of flow as needed – consider a dock area that’s used for both shipping and receiving; flow is in one direction for inbound shipments during the day and the opposite direction for staged outbound pallets overnight. Another consideration, pallet specs; pallet weights, types and sizes can also vary in a level push lane vs. a sloped system which is designed around a particular load type and weight range. Gravity-fed pallet flow systems also require that loads are shrink wrapped to ensure cartons stay in place as pallets flow independently in the lane. This is less of an issue when loads are manually pushed or walked from point A to point B.